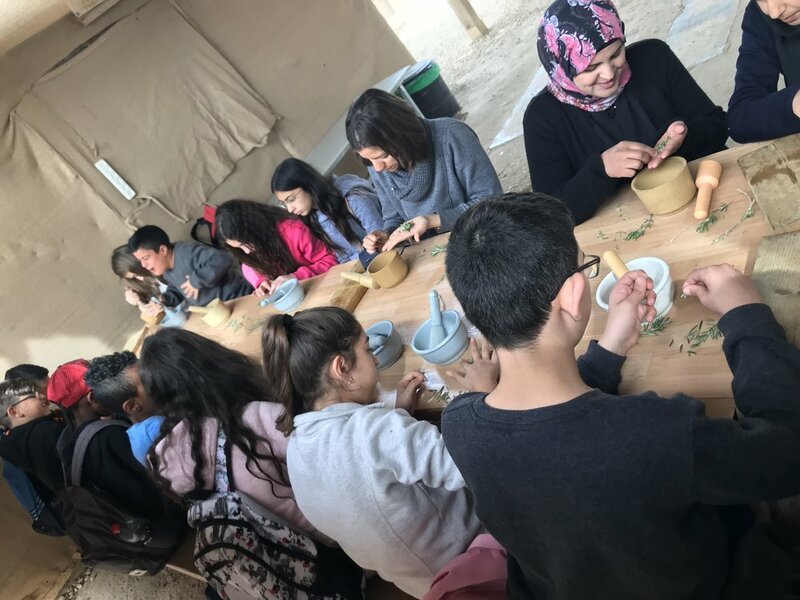 The Tel Sheva National Park plans collaborative nature-based workshops in which the students from both towns come together to learn, create, and work on environmentally focused projects. Previous projects include making their seedbeds, drip irrigation system, and herb and vegetable garden at the park. Desert Daughter planned a two part workshop for the students. Desert Daughter led a guided walking tour for the students around the Tel Sheva valley to see the different local plants and herbs and learn their many uses within traditional Bedouin culture. 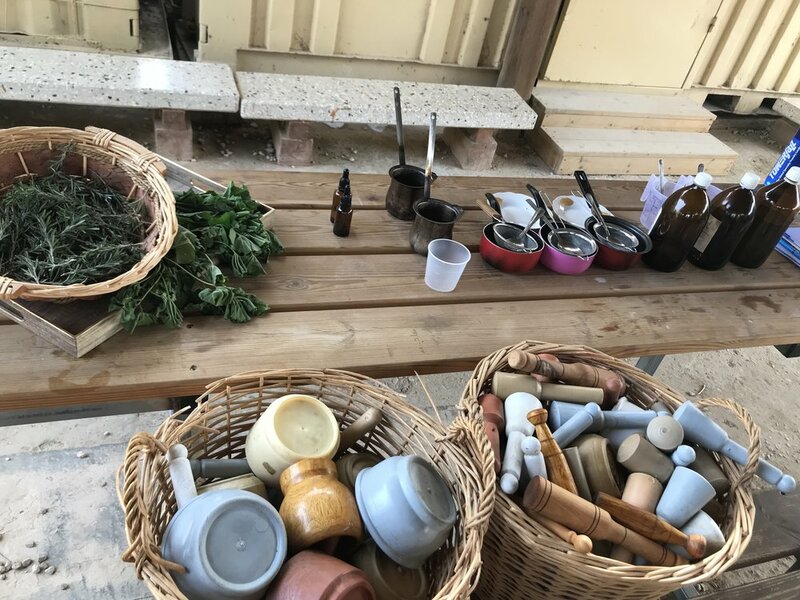 After the walking tour, students made their own individual rosemary and desert lavender skin salve and lip balm. The National Park intends to continue these workshops in the future with a focus in the next workshop on traditional Bedouin food and animal husbandry.